Presented below is information about Electronic Claims Submission - brought to you by Daley Services. What is Electronic Claims Submission? Electronic medical claims submission is an efficient, better way to submit medical claims. More and more doctors today are finding the merits of submitting claims in electronic form. 1. Faster claim submission: Electronic medical claims are processed faster, translating into quicker reimbursement to you. At present, all electronic claims are processed in less than 2 days. 2. 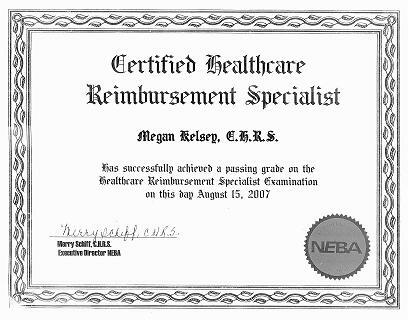 Simpler billing With electronic medical claims submission, you need not worry about tedious paper work. Electronic billing thus streamlines billing. 3. Reduced clerical time and cost Electronic claims can be submitted with the click of a button. No mailing hassles, or courier / postal charges. 4. Fewer lost claims or incomplete claims The electronic clearing house edits and immediately returns any incomplete claims before forwarding them. This results in saving time for claims processing. National statistics show that 30% of insurance claims initially submitted on paper are not paid. Thus, it makes economic sense to opt for electronic claim services. Daley Services provides electronic claims submission facilities to medical professionals associated with Medicare, Medicaid and Blue Cross / Blue Shield as part of it's medical billing practice services.